Tonight at The Standard, East Village. Only a few hundred people who have RSVPed will get to attend tonight’s Annie O. Music Series event at The Standard, East Village. 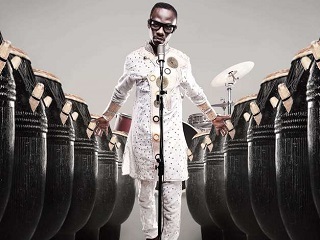 The latest guest for Ohayon’s weekly curated soirees at the Penthouse is one of Ghana’s leading musical stars, Okyeame Kwame. How did you get your nickname Rap Doctor? In 2000, I came to America to perform at the Apollo Theater. Before the performance, we went to a club in New York called the Lion’s Den – an alternative Jamaican club – and I did a performance with Reggie Rockstone. The audience couldn’t understand the rap, but they could feel the vibe, so they asked me to explain the rap to them. When I did, it was so eloquent that the Jamaicans said the way I explained the rap was like a doctor. I then got the name Rap Doctor.